Updated: 5 p.m. | Posted: 9:20 a.m. The Minnesota Department of Natural Resources released a draft permit to mine Friday morning for PolyMet Mining, a major step forward for what's poised to be the first copper-nickel mine in the state — a $650 million project that could spur an entire new mining industry on the Iron Range, but one that carries with it new environmental risks in the most pristine corner of the state. While not a final decision, the draft permit, which includes conditions the state would place on the Canadian mining company, signals the state is comfortable the mine, as proposed, can meet environmental standards and provide significant financial assurances to pay for any needed mine cleanup. The public now has until March 6 to weigh in on the draft permit, including at two public hearings scheduled Feb. 7 in Aurora, on the Iron Range, and Feb. 8 in Duluth. The DNR will also accept formal objections and petitions for special contested case hearings on the permit before a state administrative law judge. The Minnesota Pollution Control Agency also plans to release draft water quality and air quality permits, two additional major permits PolyMet needs to obtain before it could open its proposed mine and processing plant near Babbitt and Hoyt Lakes on the far northeastern edge of the Iron Range. The company still faces additional hurdles. 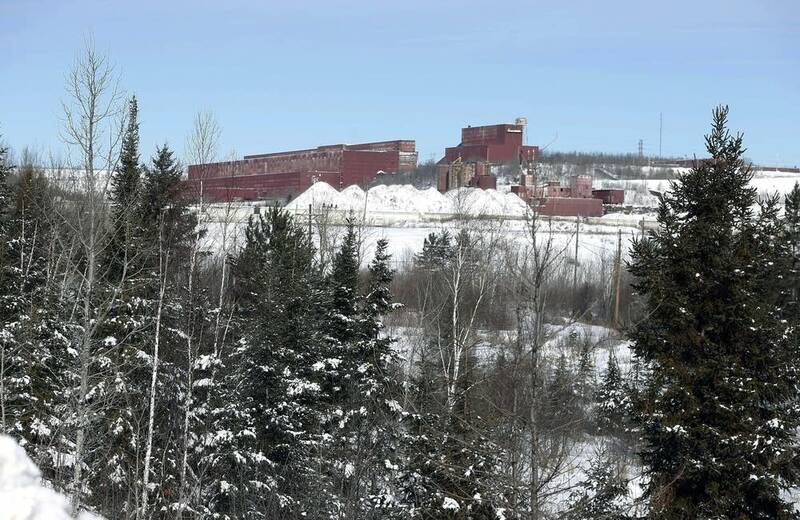 Environmental groups have already filed four lawsuits, most challenging a proposed land exchange with the U.S. Forest Service, and more suits are expected if the state eventually grants PolyMet permits. If the DNR calls for evidentiary hearings before an administrative law judge to gather testimony on aspects of the mining plan that are disputed by environmental groups and Indian tribes, that could tack on another 6 to 9 months to the regulatory process. And the company, which has never operated a mine before, faces the daunting task of raising more than $500 million to build the mine, and provide another $1 billion in so-called financial assurance to the state — after already spending more than $300 million to get to this point. Still, after more than a decade of environmental review and permitting, the massive draft permit — more than 4,000 pages long — is a major victory for PolyMet, and for the Iron Range communities that have supported its development. "Copper-nickel mining offers substantial private investment and long-term economic returns that will sustain families and communities and benefit our entire state," the business and labor group Jobs for Minnesotans said in a statement. The document lays out how PolyMet plans to construct and operate the open pit mine, processing plant and tailings basin; its plan to close and restore the site and to replace nearly 1,000 acres of wetlands it would destroy; the plan for long-term water treatment needed after the mine closes, for decades or possibly centuries; and the financial instruments it would put in place to protect the state should the company fail to meet its obligations. "So it's really the heart of this project," said Brad Moore, PolyMet's executive vice president of environmental and government relations. For several years the company has been refining its plans to mine and process the ore and to contain pollution both at the mine site and at the tailings basin, where mine waste is disposed. Those details were spelled out in the environmental impact statement approved by state regulators nearly two years ago. But the company and the state have tweaked several major aspects of the mining plan since that environmental review was completed, said Nancy Schuldt, Water Projects Coordinator for the Fond du Lac Band of Lake Superior Chippewa. The Fond du Lac Band and other tribes received early copies of the draft permit and have been reviewing it. For example, she said, the draft permit changes where PolyMet plans to provide restored wetlands to replace the wetlands destroyed when the mine is built. The Fond du Lac Band and other tribes have also questioned whether the permit accurately tallies the amount of wetlands at the mine site. "The takeaway message for Fond du Lac is that there are still an awful lot of unanswered questions," Schuldt said. A key component of the permit to mine details how the company plans to ensure that enough money is available for the state to clean up the mine, should PolyMet someday go bankrupt or walk away from the project, so that taxpayers aren't left on the hook — something that has happened at several western mines. The permit calls for PolyMet to make available $544 million in financial assurance the first year of mining. That figure would rise to more than $1 billion about midway through the mine's 20-year proposed lifespan. The $1 billion figure is how much the state estimates it would cost to close and reclaim the mine at its peak liability, and operate a water treatment plant indefinitely, if the company were to walk away and the state would have to manage the work. PolyMet's Moore stressed that the figure is a projection, and would be recalculated every year the mine operates. The DNR said it will require PolyMet to have adequate financial assurance in place two years out from any point of time. "We have more funding in the financial assurance package that we would need that particular day if the company went belly-up," said Tom Landwehr, DNR Commissioner. "We think we are in very, very good shape." The financial assurance consists of cash, bonds and letters of credit. 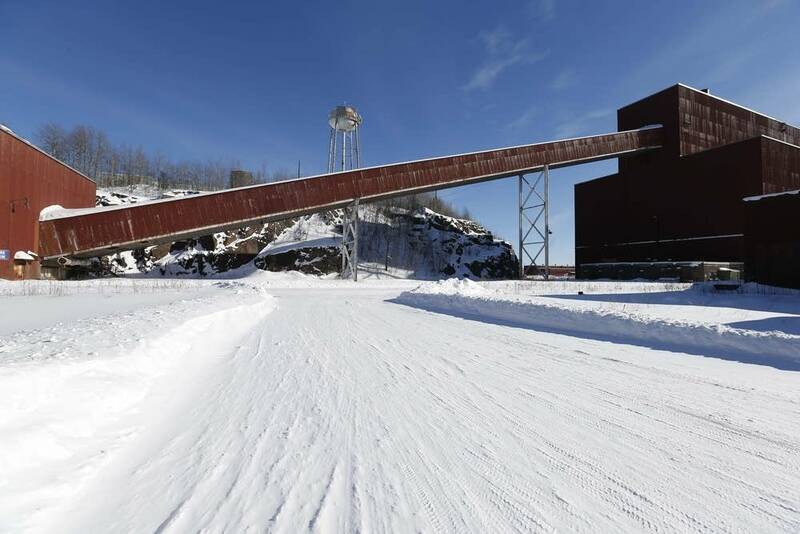 It also calls for PolyMet to create a state-controlled $580 million trust fund to be in place when the mine closes after 20 years, which is how much the state calculates would be needed to pay for potentially indefinite water treatment at the site. "The numbers look reasonable," said Aaron Klemz, spokesperson for the Minnesota Center for Environmental Advocacy. "The real question is whether these numbers are worth the paper they're printed on." Klemz is skeptical that PolyMet, a so-called junior mining company that hasn't developed any mining projects to date, can raise the money needed to build the mine, and convince financial institutions to back the financial assurance. State-hired consultants last year raised similar concerns, and pushed for Minnesota to require an updated feasibility study from PolyMet. Assistant DNR Commissioner Barb Naramore said the company is expected to submit that report in March. "This report is not a requirement under state law, but we will be taking a look at that study, prior to making any final decision on the permit to mine," she said. PolyMet's Moore said the company had to wait until the draft permit was issued before it could finalize that report. "We've raised over $300 million to get to this point," Moore added. "I think we've shown we have a lot of staying power in a tough regulatory environment." 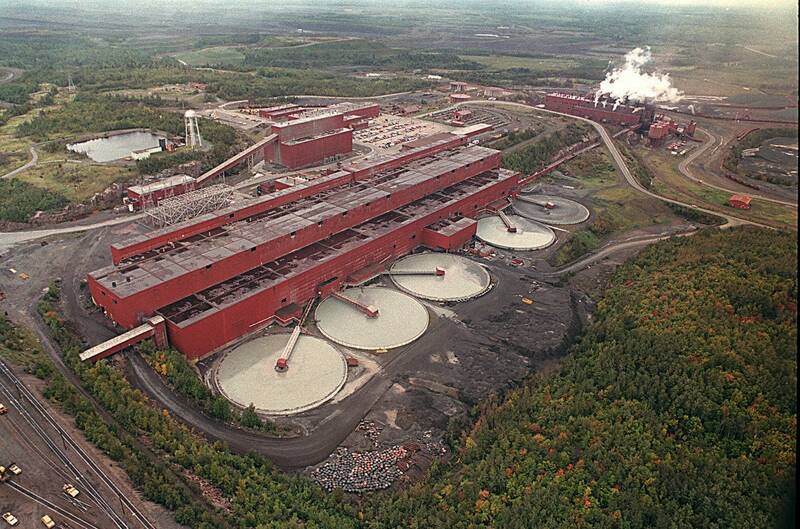 PolyMet has maintained it plans to build and operate the mine itself. But that would be unusual for a junior mining company like PolyMet, said Graham Davis, professor emeritus of mineral economics at the Colorado School of Mines, who's also bought stock in PolyMet. "That's only happened in one or two recent cases," he said. "Typically they'll get bought out or they'll bring in a large partner to help them develop the mine." The mine is projected to create 360 permanent jobs over 20 years, in addition to construction and spin-off jobs. But Klemz and others contend the potential risks of severe water pollution, both on the environment of northeast Minnesota, and on taxpayers who may have to foot the bill to clean it up, outweigh what they say are limited benefits. With other mining companies also exploring for copper and nickel in the region watching closely how regulators handle one of the most contentious environmental battles in the state's history, he said it's important Minnesota gets this right. "What decisions we make, and what conditions we place on PolyMet now, will determine the shape of future proposals," Klemz said.